Working with newborn babies-What kind of touch can you use with a newborn baby? There are different touch techniques for babies at different ages. Our full baby massage routine is suitable for babies from 8 weeks. 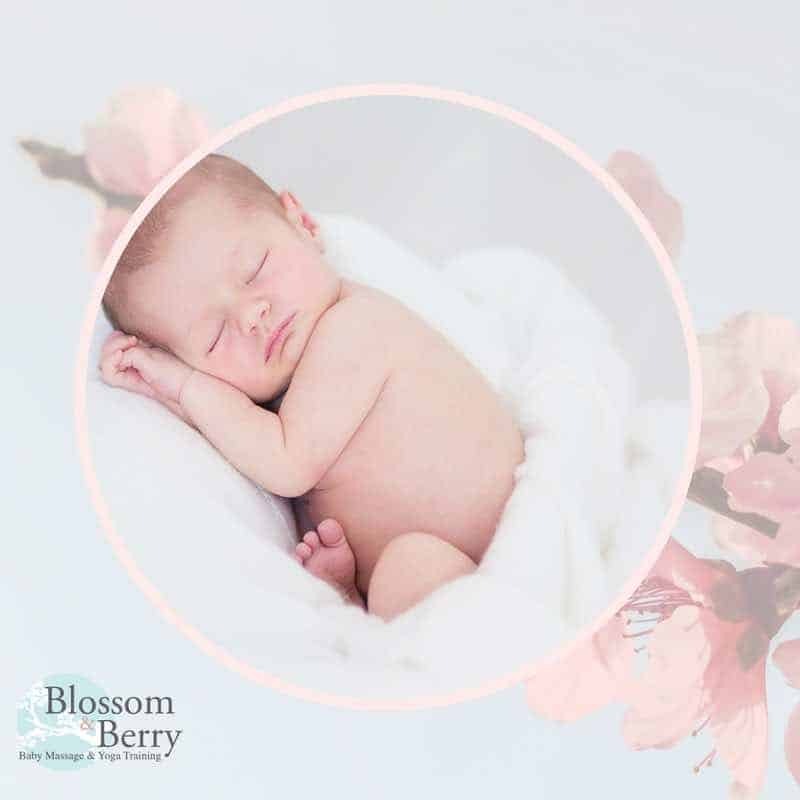 It’s a full body routine that uses oil and so it can be too overstimulating for small or hypersensitive babies plus oil is not advised for the skin until 6 weeks. An alternative touch technique is “still touch” as it offers a way to connect physically to your baby, get the oxytocin flowing but it won’t be overwhelming. Still Touch is a great technique to use to introduce touch to a small baby or newborn. It is used in premature baby units. Touch over clothes will calm and soothe small babies and help them to regulate their body systems. It helps produce oxytocin which is beneficial for both the new parent and baby. Talk to the parents about what touch their baby has received already and if there are any negative associations. This is very relevant if a baby has had any heel prick blood tests. Touching this area on the foot may not be well received as there may be an association with pain or fear. Get a full medical history on the baby and the parent. Find out their needs. Hold space for the parent to discuss how they feel about their baby and their identity as a new parent. Talk about how touch can be beneficial to the baby and the parent. Talk about the right type of touch to introduce to the baby. Encourage the parent to talk to the baby throughout and to observe the baby’s responses. Always ask the babies permission before you start a hold. Always start with a small amount of touch and then build up slowly. • Make sure a parent’s hands are warm. • Ask the parent to hold the baby close to them or hold them in a side lying position. • Cup hands over a part of baby’s body with an even and gentle pressure a count of 5-10 seconds and move down the body. Containment holds are also a great way to introduce touch without overstimulation. Make sure your hands are clean and warm. To create a hold, place one hand around baby’s head and the other around their bottom and hold the position very still. Another form of a containment hold is the right hand cupping the baby’s feet with left hand placed on top of baby’s head. Parent’s can gently touch, shush or sing to the baby whilst doing this. The idea behind a containment hold is to literally “contain” the baby giving them a sense of enclosure similar to that which he would have experienced in the womb. It is also a great opportunity to encourage parents to breathe into this touch technique and create a moment of connection. Parents should introduce touch slowly and observe their baby’s reaction. A containment hold is a great way to do this. As a result of any touch technique a baby may begin to relax, have a decreased heart rate and deeper breathing. Parents need to be aware of their baby’s cues throughout and if any stress cues arise. If a baby seems to be distressed then the parent should stop the hold and try on another occasion. It does not mean the baby does not like containment holding, it may just be the wrong time for him. Parents having an understanding of their baby’s stress cues is vitally important to encourage parent and baby bonding and communication and to respect the baby’s autonomy as an individual. Our course Newborn Nurture covers all these techniques plus many more and will help you teach parents with young, small or hypersensitive babies. Have a look at the course here and enrol to expand your services.